Human bio-synthesis of Coenzyme Q10 peaks in the early 20s and then declines with increasing age. Supplementation is necessary to provide adequate intakes of the substance for energy production and antioxidant defense. Coenzyme Q10 dissolved in vegetable oils and sealed in gelatin capsules has shown impressive health benefits in randomized controlled trials: Q-Symbio study, KiSel-10 study, and Gulf War Veterans study. Coenzyme Q10 is a marvelously versatile natural substance. It is essential for cellular energy production, and it is an important lipid-soluble antioxidant. Its use as a daily supplement in conjunction with conventional medicines can give heart patients valuable health benefits. We want to look at the evidence presented in this review article [Ayer 2015]. In the mitochondria in the cells, Coenzyme Q10 is essential for the generation of ATP energy. In the energy production process, Coenzyme Q10 continuously converts back and forth between its oxidized form (ubiquinone) and its reduced form (ubiquinol). Coenzyme Q10 is the most important lipid-soluble cellular antioxidant and the only lipid-soluble antioxidant synthesized in the human body. The body has several known enzyme systems that regenerate the antioxidant ubiquinol once it has donated electrons to harmful free radicals and been converted to its oxidized ubiquinone form. Among Coenzyme Q10’s other known biological functions are its role in the regeneration of the antioxidant vitamins C and E, its influence on cellular redox signaling, and its protective effects on the endothelial cells lining the inner surfaces of blood vessels. The term “heart failure” does not refer to a failure of the heart to pump. Heart failure is the name for a condition in which the patient’s heart fails to pump adequate quantities of blood to supply the body organs with sufficient oxygen and nutrients. Typical symptoms of heart failure are shortness of breath, fatigue, and palpitation. Depending on the severity of the disease, heart failure patients are categorized into one of four New York Heart Association (NYHA) classes, class I being the mildest and class IV being the most severe. Two relatively large randomized controlled trials, Mortensen [2014, 420 patients] and Morisco [1993, 641 patients], have provided persuasive evidence that supplementation with Coenzyme Q10 – in addition to standard heart failure medication – improves heart failure patients’ symptoms and survival as compared to placebo administration together with conventional medications. In both studies, significant health outcomes included improvement in the patients’ NYHA classification and fewer major adverse cardiovascular events such as unplanned hospitalizations and surgeries. In at least eight other smaller randomized controlled trials of the Coenzyme Q10 supplementation of heart failure patients, the investigators reported significant improvement of left ventricular ejection fraction (LVEF) compared with placebo supplementation. LVEF is the measure of the volume of blood that the heart pumps with each contraction. It is exactly what needs to improve for heart failure patients. The results of a recent randomized controlled study [Pourmoghaddas, 2014, 62 patients] have shown that the statin medication atorvastatin alone had no effect on LVEF; however, adding 200 milligrams of Coenzyme Q10 daily to the atorvastatin treatment regimen did significantly improve both the LVEF and the NYHA class of the patients. This is a very interesting outcome. Systolic blood pressure is the blood pressure when the heart is contracting and pumping blood; diastolic blood pressure is the blood pressure when the heart is relaxing. Two systematic reviews of clinical trials enrolling patients with systemic hypertension have concluded that Coenzyme Q10 supplementation could reduce systolic and diastolic blood pressure. Myocardial ischemia – the insufficient supply of blood to the heart muscle – is generally caused by the narrowing of the coronary arteries. The narrowing of the coronary arteries – called coronary atherosclerosis – is generally caused by inflammation and the build-up of plaque on the inner surfaces of the blood vessels. Atherosclerosis is closely associated with oxidative stress, which is an imbalance in the relationship between harmful free radicals and neutralizing antioxidants. The same study continued for the period of one year showed significant reductions in the number of non-fatal heart attacks and in heart disease deaths [Singh 2003]. Again, more clinical studies are needed, but the results of a randomized controlled study in which patients aged 56 to 74 years were given 300 milligrams of Coenzyme Q10 or matching placebo every day for two weeks prior to scheduled heart surgery has given hope that pre-operation administration of Coenzyme Q10 can increase mitochondrial function in the heart muscle both before and after heart surgery [Rosenfeldt 2005]. One medical concern associated with heart surgery is that the heart is commonly arrested and clamped off during the surgery, resulting first in the heart’s becoming ischemic (short on oxygen) and then in the heart’s being exposed to a burst of harmful free radicals when the blood circulation is restored to the heart. The resulting injury to the heart muscle is known as ischemia reperfusion injury. In theory, increasing the Coenzyme Q10 concentrations in the heart muscle tissue through the use of supplements before and after the heart surgery should make available more antioxidant Coenzyme Q10 to counteract the harmful free radicals. The study carried out by Dr. Judy, Dr. Folkers, and Dr. Stogsdill has shown that Coenzyme Q10 supplementation enabled heart surgery patients to maintain normal concentrations of Coenzyme Q10 in the blood and in the heart following the period of reperfusion [Judy 1993]. Statin medications work by inhibiting the action of a key enzyme, HMG-CoA reductase, in the biological pathway that produces both cholesterol and Coenzyme Q10. So the good news is that statins have proven effective at lowering cholesterol levels and at decreasing the risk of heart attack. 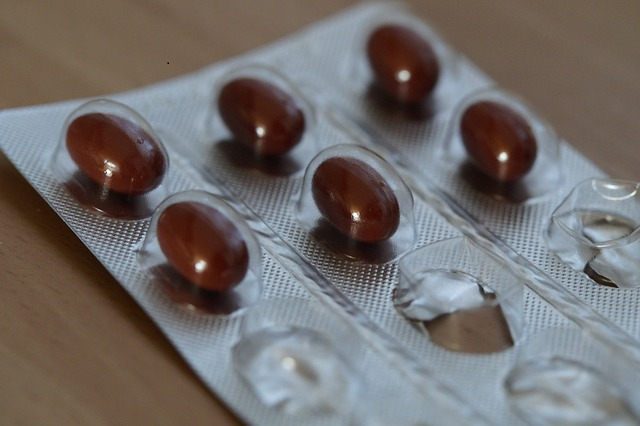 The bad news is that statins have been shown to lower Coenzyme Q10 levels and, in so doing, have reduced the bio-availability of a substance – Coenzyme Q10 – that is essential for energy production and antioxidant protection in heart muscle tissue. It is interesting to see that the period of the rise in the use of statin medications is the period of the rise in the number of heart failure patients. Anyone taking a statin medication should be asking his or her cardiologist about the advisability of taking supplemental Coenzyme Q10 [Okuyama 2015]. This point cannot be emphasized strongly enough. Silver  reported that taking a statin alone (atorvastatin) worsened left ventricular ejection fraction. Concurrent treatment with a daily Coenzyme Q10 supplement prevented the worsening of the left ventricular ejection fraction. Pourmaghaddas , Coenzyme Q10 administered daily in conjunction with a statin (atorvastatin) improved patients’ left ventricular ejection fraction and NYHA class significantly. Atorvastatin alone did not improve either outcome. Because of its role in cellular energy production and cellular antioxidant defense, Coenzyme has demonstrated value for heart failure patients, hypertension patients, patients scheduled for cardiac surgery, and patients taking statin medications. Its role in the prevention and treatment of ischemic heart disease needs more research but is indicated by the results of the KiSel-10 study [Alehagen 2013]. Alehagen, U., Johansson, P., Björnstedt, M., Rosén, A., & Dahlström, U. (2013). Cardiovascular mortality and N-terminal-proBNP reduced after combined selenium and coenzyme Q10 supplementation: a 5-year prospective randomized double-blind placebo-controlled trial among elderly Swedish citizens. International Journal of Cardiology, 167(5), 1860-1866. Ayer,A., Macdonald, P., & Stocker, R. (2015). CoQ10 function and role in heart failure and ischemic heart disease. Annual Review of Nutrition, 35, 175-213. Ho, M. J., Bellusci, A., & Wright, J. M. (2009). Blood pressure lowering efficacy of coenzyme Q10 for primary hypertension. The Cochrane Database of Systematic Reviews, (4), CD007435. Judy, W.V., Folkers, K.A., & Stogsdill, W.W. (1993). Myocardial preservation by therapy with Coenzyme Q10 during heart surgery. Clinical Investigator; 71(8 Suppl): S155-61. Mortensen, S. A., Rosenfeldt, F., Kumar, A., Dolliner, P., Filipiak, K. J., Pella, D., & Littarru, G. P. (2014). The effect of coenzyme Q10 on morbidity and mortality in chronic heart failure: results from Q-SYMBIO: a randomized double-blind trial. JACC. Heart Failure, 2(6), 641-649. Rosenfeldt, F. L., Haas, S. J., Krum, H., Hadj, A., Ng, K., Leong, J., & Watts, G. F. (2007). Coenzyme Q10 in the treatment of hypertension: a meta-analysis of the clinical trials. Journal of Human Hypertension, 21(4), 297-306. Rosenfeldt, F., Marasco, S., Lyon, W., Wowk, M., Sheeran, F., Bailey, M., & … Pepe, S. (2005). Coenzyme Q10 therapy before cardiac surgery improves mitochondrial function and in vitro contractility of myocardial tissue. The Journal of Thoracic and Cardiovascular Surgery, 129(1), 25-32. Silver, M. A., Langsjoen, P. H., Szabo, S., Patil, H., & Zelinger, A. (2004). Effect of atorvastatin on left ventricular diastolic function and ability of coenzyme Q10 to reverse that dysfunction. The American Journal of Cardiology, 94(10), 1306-1310. Singh, R. B., Neki, N. S., Kartikey, K., Pella, D., Kumar, A., Niaz, M. A., & Thakur, A. S. (2003). Effect of coenzyme Q10 on risk of atherosclerosis in patients with recent myocardial infarction. Molecular and Cellular Biochemistry, 246(1-2), 75-82. Singh, R. B., Wander, G. S., Rastogi, A., Shukla, P. K., Mittal, A., Sharma, J. P., & … Chopra, R. K. (1998). Randomized, double-blind placebo-controlled trial of coenzyme Q10 in patients with acute myocardial infarction. Cardiovascular Drugs and Therapy, 12(4), 347-353. Please click here for more information about the Coenzyme Q10 used in randomized controlled trials. ← Coenzyme Q10: ubiquinone or ubiquinol?